French label Dooweet Agency was started about four years ago by Christophe Sousa, in mean time joined by two (beautiful, but that’s another story) women to take care of promotion and consultancy activities. The label pretends to allow ‘artists from the underground music scene […] to promote themselves […] around the ethic and active passion of its members’. I cannot but praise the idea, the intention, the persuasion, the conviction, the passion; let’s be sure about that! However, the result must be a pleasure for the listener’s ear drums too, and in Dooweet Agency’s case I do have my doubts from time to time. In a near future I will upload a review for new material by Gloomy Hellium Bath and Hills N’ Pills, and on January 14th I did upload a review for the AntiPi-album by French act Order Of 315. Yet still, the idea of support is one I truly, eh, support as well! 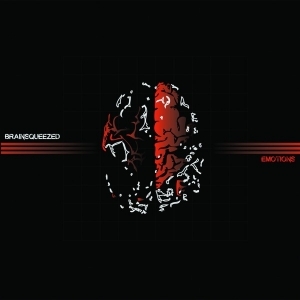 So, Brainsqueezed are an outfit of Frenchman Sébastien Lalone, multi-instrumentalist, and (female) vocalist Claire Chouard (of Opal Sounds-fame). They bring a weird mixture of Progressive and Alternative, Hard Rock, Jazz, Metal, Vintage, Pop Music and Indie. Indeed, such amalgam on influences is quite, eh, unique, but the result, unfortunately, is indeed a melting pot of uncoherent songs. I do not think it must be taken too seriously, even ironic, yet still this will surely bother, even irritate, quite a lot of listeners, no matter how open-minded you are. Besides, the material was written over a period of several years, which strengthens the lack of coherence too. Personally I detest the poppy ballads, for they do lack persuasion and invention. But also the heavier compositions are way too simplistic and uninspired to reach a level of memorability. Not one single piece really deserves my indevotional attention, and the second time I listened to the album, I started to push the ‘fast forward’ knob more than once.